These earrings are very popular with 4H'rs, anyone that shows livestock and certainly anyone with a great sense of humor! You can order them with a #1 (are you number one) or #10 (are you a "perfect" ten) stamped on them. They are available in nine colors. Ear Tag Earrings are a truly unique and fun item. Price includes shipping. Please note that earrings are sent first class mail so be sure to allow plenty of time if you are ordering for the holidays and be sure to use your mailing address. 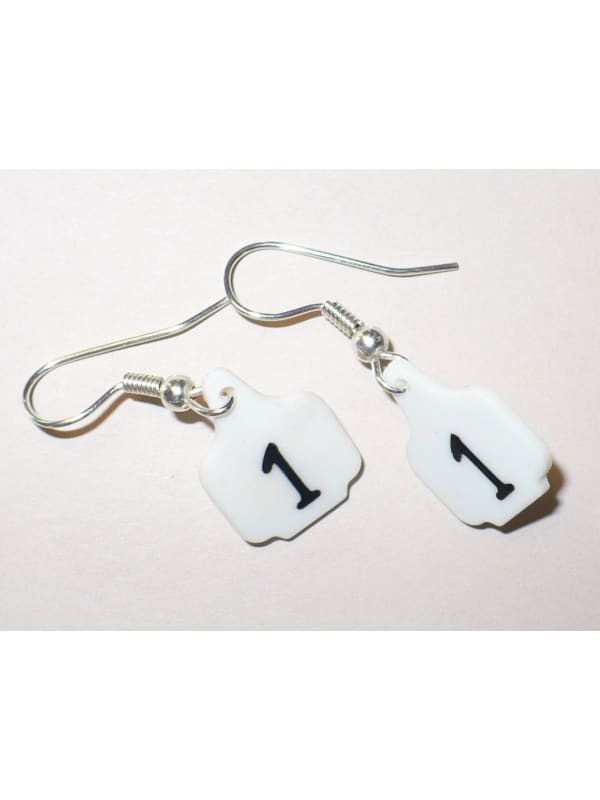 Ear Tag Earrings (sometimes called cowtag earrings) are made from the same material and colors as our tags. They come on silver-plated earwires for pierced ears. 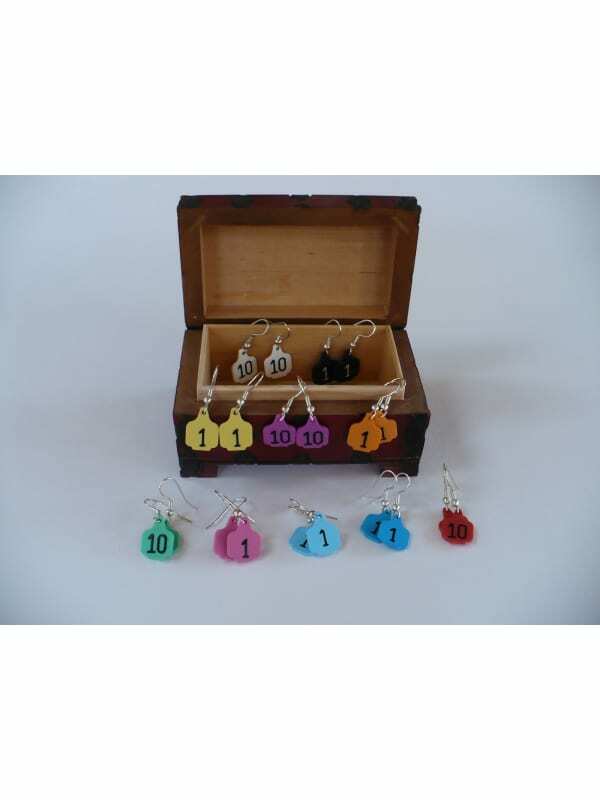 The earrings are stamped with either a #1 or a #10 and are available in nine colors.